Our collective imagination is haunted by a certain image of the artist: a solitary bard, brooding alone, awaiting a burst of inspiration from a mysterious and magical muse. We see the person with the creative spirit as one who stands above and apart from the common lot, a secular priest who mediates between regular folks and the transcendent, delivering divine revelation from his mountaintop hermitage. Certainly, some folks are more creative than most. Yes, the true artist, in the words of Percy Bysshe Shelley in his Defence of Poetry, “lifts the veil from the hidden beauty of the world.” Surely, inspiration plays a part in the creative process—but only a minor role to labor and sweat. And, yes, the writer, the painter, the sculptor, the musician writes, paints, sculpts, and plays endless hours alone. Yet, the fact is that the artist is an ordinary person who carries with her into those lonely chambers of toil seeds germinated in society, fruits formed by fellowship, ideas incubated in dialogue. Only God creates out of nothing. Human beings create from the materials given—and received. In other words, creativity comes from community. The true artist bears witness to the works of those who have gone before, whether those works come in the form of the collected wisdom of philosophers over thousands of years, or an enchanting painting by one of the great masters, or simply an insightful post at our favorite blog. Yes, the fires of creativity spark within us, but they are stoked by the winds from the world around us. In my own field—writing—it is a truth universally—and unironically— acknowledged that a good writer is a good reader. 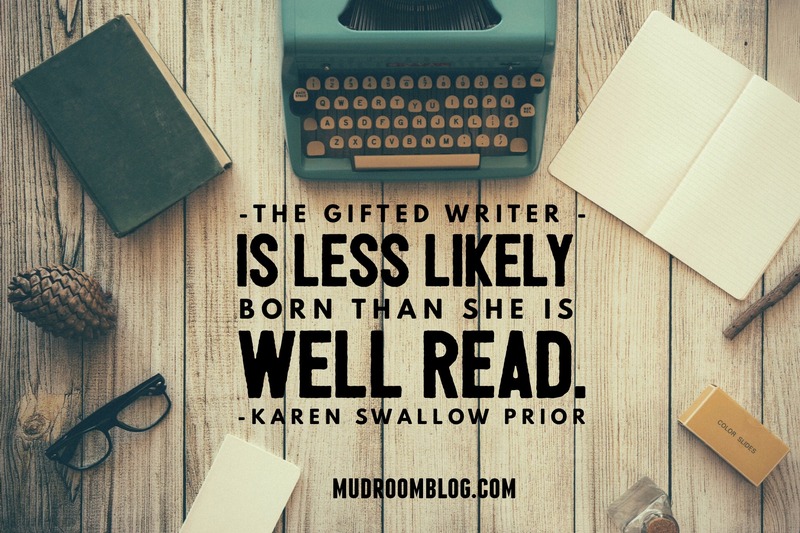 The gifted writer is less likely born than she is well read. And what are books but a community of words from which the writer develops curiosity, nurtures wonder, tests ideas, and practices the craft of expressing well? Both reading and writing—even when performed alone—are acts rooted in the community of other readers and writers. Sartre famously depicted hell as other people. Well, art is other people, too. So good writers read. But not all books are inked and bound. The book of life—whose chapters contain hope, expectation, love, delight, disappointment, loss, growth (in other words, people)—provides, too, the words from which we create. Endless asking, telling, listening, debating, learning, regretting, cursing, pontificating, apologizing, lamenting, lying, confessing give birth to the words we carry into our solitary writing rooms. And when we write—unless we write only what is fit for a diary with a key—we write for readers. We write with some one, or some community, in mind. And once we offer the gift of our creativity to others, they return the gift: through their accolades, their questions, their criticisms, their amens, and even their silences. These are all gifts—even the coal of disapproval. And if we receive them, truly receive them, they become our Muse—and our chisel, too. So we whittle away at our craft, ever refining and sharpening, because while we might labor in solitary, we never create out of nothing or alone. Come, let us create together. Come read with Karen this summer at The Glen Workshop in Santa Fe, New Mexico, where she will teach a seminar on reading as spiritual formation. Karen Swallow Prior is the author of Booked: Literature in the Soul of Me (T. S. Poetry Press, 2012) and Fierce Convictions: The Extraordinary Life of Hannah More—Poet, Reformer, Abolitionist (Thomas Nelson, 2014). She is a Research Fellow with the Ethics and Religious Liberty Commission of the Southern Baptist Convention, a Senior Fellow with Liberty University’s Center for Apologetics and Cultural Engagement, and a member of the Faith Advisory Council of the Humane Society of the United States. This entry was posted in Art, Career, Community, Faith, Writing and tagged art, Creativity Inspiration Imagination, Karen Swallow Prior, Percy Bysshe Shelley, reading, Sartre. Bookmark the permalink.